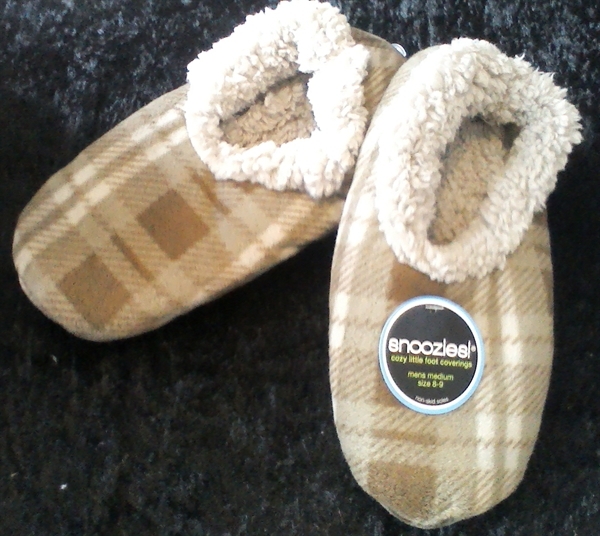 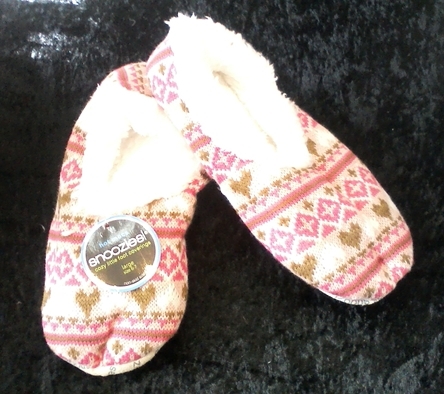 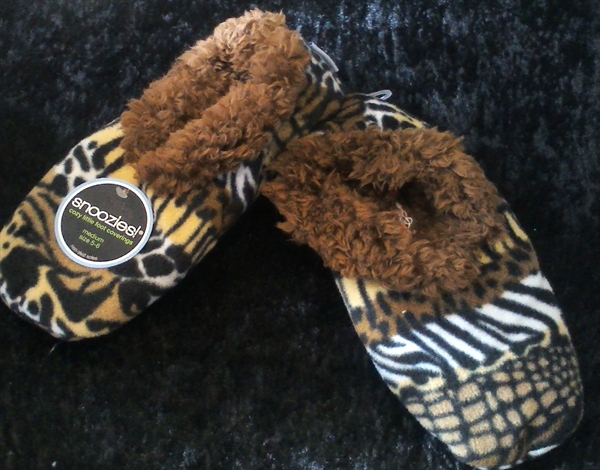 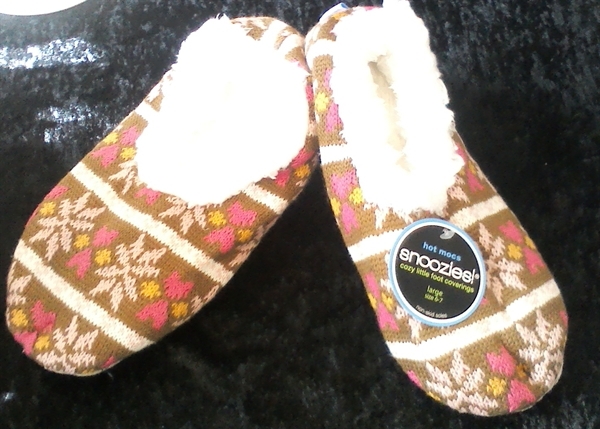 Snoozies are cosy and comfortable foot coverings. 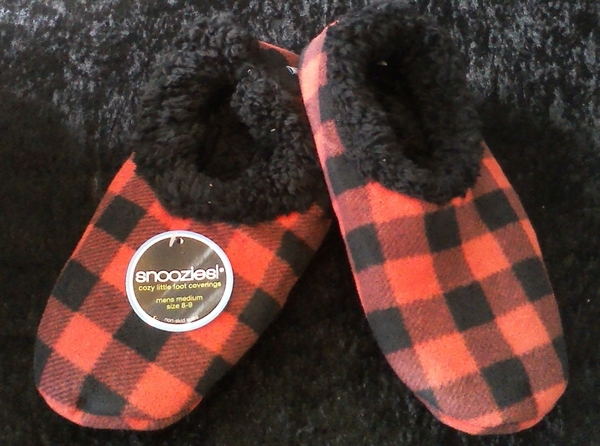 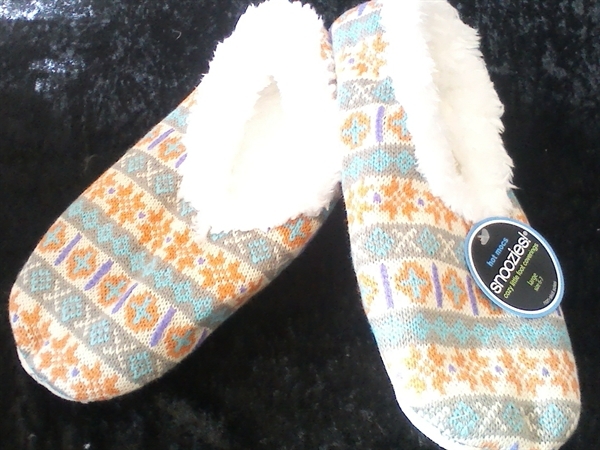 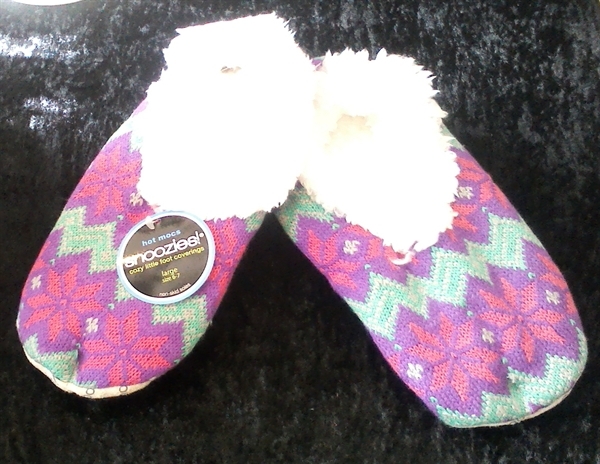 They are made with a brush fleeced exterior and lined with a soft Sherpa fleece inside. 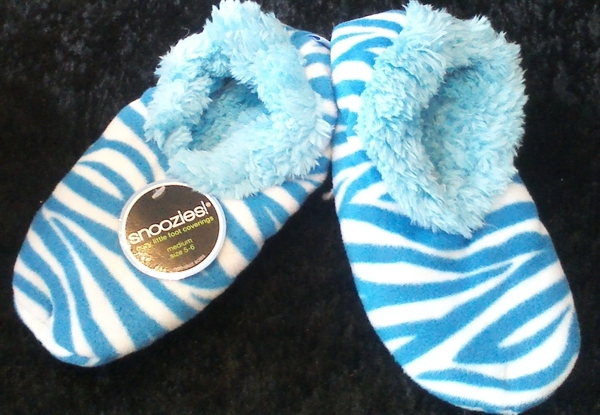 They have a non skid sole and they are fully machine washable and won't shrink! 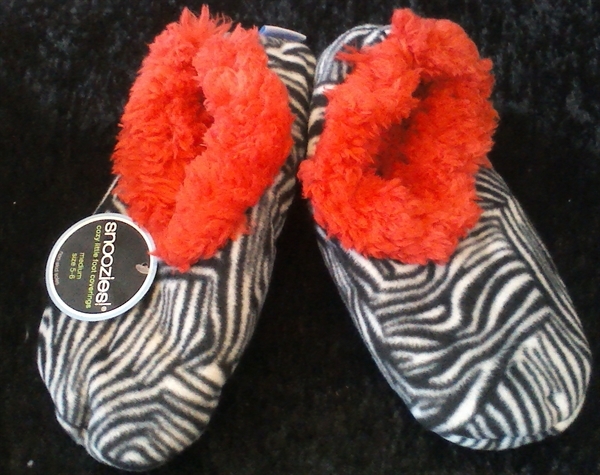 They come in a range of different colour patterns and sizes!